Dr Merrin Pearse is passionate about the Natural Environment (yes animals, bugs and trees) and helping people to realize that economic and environmental sustainability are one. Raised on a dairy farm in New Zealand and with a background in Land Surveying (specializing in precise positioning through the use of GPS equipment) his work has connected him with all continents and taken him to amazing places where he has seen some of the best and worst examples of human "development". He has a wide range of international experience working for Government Departments, SMEs, international companies and NGO’s in quality assurance, auditing, sustainability, benchmarking and community engagement roles which have provided him with a unique perspective on team dynamics. Currently based in Hong Kong with his wife Louise, Merrin is a Communication and Marketing Consultant to Friends of the Earth (HK) 4 days per week. In addition to freelance work, he co-organizes Hong Kong Green Drinks and is an active member of a number of environmental organizations. 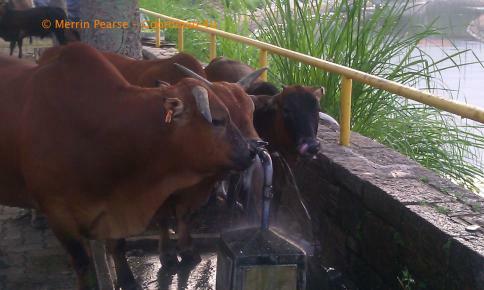 Cows forced to get fresh water from a tap too - I hope they will not be going for bottled water next! As “development” progresses we often see the challenge of providing for nature within our cities. 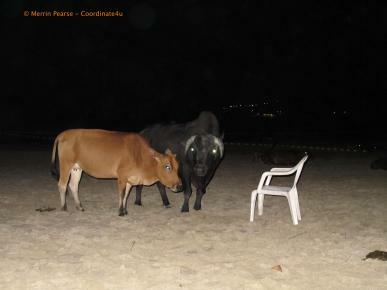 Whether it be small creatures or large they must feel like we humans are playing a game of musical chairs with them. Each season they would be heading off to where they were able to get great food and shelter the year before to only find that there is a new concrete building in the way or a high fence that they cannot get round. As their space is reduced they are forced into areas that some people might think are not appropriate for them to be and this stresses out both the creature and the human. 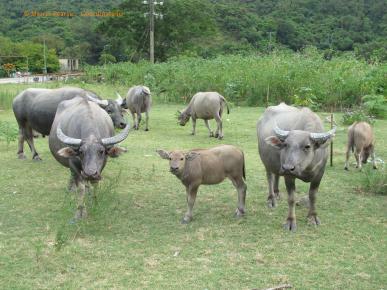 As a lover of animals (which comes for living on a dairy farm as a child) I would love to see our large animals in Hong Kong better provided for. Whether it is the barking deer in our country parks, the cows of Sai Kung or the buffalo of Lantau they all could do with some support. The key is providing real opportunities for people to see these wonderful animals going about their normal day. No I do not mean that they should be in a park where they have to perform certain tricks to entertain or “educate” us, rather just doing what they naturally do. 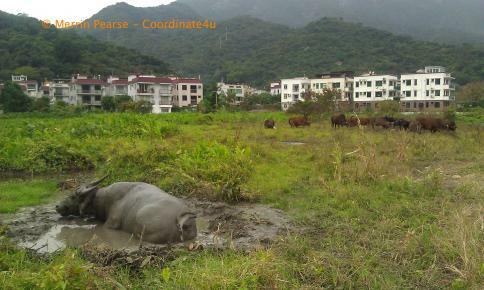 On Lantau Island that would be letting buffalo wallow in the mud and for the cows the ability to roam among the fields eating grass. How does this help people? Well if you are yet to see a cow or buffalo walking freely then go visit some. Be prepared to stand back and just watch them for a while before you start to see them interacting with each other and enjoying life. Once you have made that connection with them you might like to support community groups that are looking after the interests of the large animals. 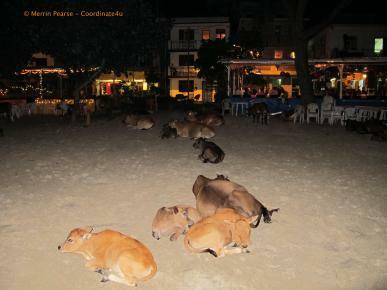 Talk to your neighbours about the experience and try to establish safer areas for these animals in your community. Feel free to post examples you know of around Hong Kong.